Why use a vehicle wrap? Vehicle wraps are fast becoming a popular form of business advertising, and the main reasons according to industry experts are affordability and effectiveness. The process of printing and wrapping has become easier and cheaper, vinyls and technology have greatly improved, and the attractive graphic designs are a distinctive, captivating way to effectively advertise and promote a business. Here at Goodson Signs we use only the best materials on our vehicle wraps. Our installers have been trained and have many years of wrapping experience. Keep your text to a minimum! “A picture is worth a thousand words” so don’t clutter up your photos or graphics with a lot of talk. Keep the design simple and it will be more effective. Place most important images or logo over major flat surfaces of the vehicle. Avoid placing small images or text over complex contours, vents, curves or broken planes. Once you have invested in a Vehicle Wrap, do you best to get it seen. Daily driving and even being stuck in traffic becomes an advertising opportunity. Park strategically. Park in places in show off you vehicle: near parking lot entrances, at the end of parking lot rows where the side of your vehicle is visible, near streets and high traffic areas, at sporting or other events. 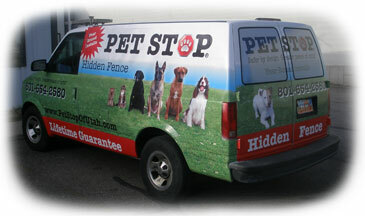 For examples of our vehicle wraps, please visit our Product Gallery.